What is your one best innovative idea that has enabled you to successfully produce direct revenue from your blog? Once again, our savvy contributors came through with more than 9 ideas to generate revenue through blogging. The challenge is finding the right fit for your blog, your goals, and your audience. As with anything else in business, there is no one-size-fits-all. Just remember that trying something doesn’t mean you are locked in if it doesn’t pan. So be brave enough to implement an idea you believe has merit, and flexible enough to change course if you need to down the road. I hope that you will be inspired by the innovative strategies our panel has found to be profitable for their blogs. Enjoy! Our blog, which features some of the most interesting and exciting items up for auction, refers people directly over to our membership website. While there, people can activate a free trial membership that is followed up by a monthly subscription. Since we pump out a ton of blog posts every day, we are generating a ton of links through popular search engines. The appealing blog items turn into free trials, which then turns into paying memberships. My blog offers WordPress tips and tricks. But my monetization strategy is offering paid 1on1 WordPress help and support sessions. Many of my readers read an article with tips and want more 1on1 help afterwards. So I have a call to action offering that paid help. The one thing that creates a nice little income for us is our giveaways. We normally just post great freebie items on our blog without gaining any compensation whatsoever. Though, along with that, we run megaprize giveaways all the time in the background. We don’t collect any money from entries, but we do get a payment from our sponsors who are receiving valuable social media followers and likes. The sponsors donate prizes and pay our fees, and we then start the giveaway. The synergy of the whole giveaway makes everyone a winner. 5. Monetizing A Blog… With Other Blogs? One of my main sources of continuous revenue for the blogs I manage (including mine and others) is advertising… which doesn’t do any good whatsoever if you don’t have traffic. I’ve done two things that have worked well: 1. Teamed up with other bloggers to promote each other’s content, driving new eyes (and thus serving more ads) to my site. 2. I actually have multiple websites that I link between to keep readers on my pages, but bloggers without more than one site can still get the benefits of backlinking by making sure to link back to relevant content on each post. 6. Find Deals And Make Commission! Our website scans the web and finds the best daily bargains on hot items around the web. When we post a blog about an item on sale, we get affiliate commission through the link we use. If we’re a member of a merchant’s affiliate program (which we often are), we will post the affiliate tracking code in the link to the item. This way we are paid commission on any purchases through that link. 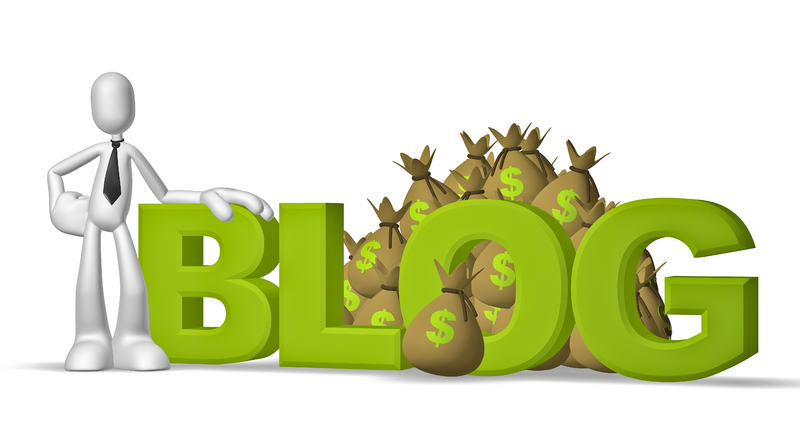 Finding deals, pumping out blogs about them and getting commission has been a great way to monetize our deal blog. 7. Join All Niche Related Affiliate Programs! The way we monetize our blog is by posting reviews of various items up for sale and then make money from commission. We do this through affiliate programs. For example, we have affiliate programs with different auction sites like eBay. We use their specific codes and if people make a purchase through that code on our blog we make a commission that is structured through the affiliate network that the auction site belongs to. Some of them have affiliate programs on big networks like Commission Junction, while others are stand alone. No matter if they are large or small, we join them all. In the blog on our site, we give people fantastic tips and advice for purchasing a home through a foreclosure. These blog posts lead people to our main page for instant access with a free membership. We make money through advertising in the member section and in emails that are sent out to our members. People get to enjoy the free usage of our website, and we make our end through the advertisers. With our blog, we produce content that highlights some of the coolest items up for sale at seized and surplus government auctions. People can check out items that range from high-end sports cars to something as obscure as gold teeth. When people see something they like, they can click on the link, which will then refer them to our main website. On the homepage, they can then sign up for an annual membership and browse through all the fantastic assets that are available to bid on. These blog posts are one of the main drivers for new memberships created. Thanks so much again to all our wonderful contributors for sharing your innovative strategies for generating revenue from your blog! We hope to hear from you again. And to all our readers, if you have an innovative idea to share, we hope you will leave it in the comments below. This entry was written by Dr. Shannon Reece, posted on November 21, 2011 at 6:00 am, filed under Question of the Week and tagged blogging, income stream, Monetizing your Blog, small business tips, strategies for women. Bookmark the permalink. Follow any comments here with the RSS feed for this post. Post a comment or leave a trackback: Trackback URL. Good ideas, Shannon! Another emerging way to monetize your traffic that I’ve found is an opportunity to receive commissions on purchases readers make at the places they already shop at. It’s kind of like affiliate links but I’m actually pointing them to a website that helps get them the best deal on what they’re already looking for rather than trying to alter their buying behavior. And it’s not a one-time referral commission. I get paid for all the purchases they make, wherever they make them. Thanks for the great article. Once your blog is well set up like this then you can concentrate on driving traffic to it. Of course nothing beats creating great content in that regard.